Lowdown: Bond finally confronts the person behind his recent films' tribulations. In its favour, Spectre is a rare event in the James Bond movie franchise. It's a movie that closes the loop opened in the Daniel Craig series of Bonds (Casino Royale, Quantum of Solace, and Skyfall). Usually, Bond movies are sold as self enclosed units even though that concept never made sense (hey, what happened to that girl from the last movie? ); with Spectre, we get closure. One also wonders whether that closure implies the end of Craig's career as a double oh agent. Problem is, there isn't much else for me to say in favour of Spectre as a movie. Yes, it's a James Bond movie, so we get Bond to travel through all sorts of exotic international locations and wreck his personal brand of mayhem along the way (now with extra product placements). As has become standard for Bond movies, it is quite hard to figure out why Bond has to do what he is about to do or go where he is about to go. And frankly there is not much reason to ponder about those things because they do not make sense in the first place. Trouble is, with Spectre there is no tension whatsoever. The baddie character, played by Christoph Waltz, is but a pale shadow of its potential (or Waltz', for that matter). There is never any tension; whenever Bond goes into action, one never feels as if he's in danger or fighting for his life. One never truly feels. Spectre simply goes through the motions, and ever so uninspiringly so. Given we are talking about a long movie at 2.5 hours, Spectre grinds its viewers down. Which is a shame when considering that Spectre actually does have something good to say. At its core is a statement against the surveillance society this world of ours is turning into. It is clear the movie's criticism is directed at the West, as opposed to pointing a finger at your average despot. When considering the British nature of Bond, with Britain being the country where - on average - five thousand and one cameras cover every citizen each day, this very Edward Snowden sympathetic message should be praised. In case of any doubt there, the reference to "9 eyes", as opposed to Snowden's real life "5 eyes", makes the point very clear. Problem is, the main representative of this message is not our hero Bond, but rather his sidekick Q (Ben Whishaw, who, as has been pointed out by others, actually shares some physical similarities with Snowden). Waltz should ask for a refund on the torture machine he uses on Bond. Under Australian consumer law, he is entitled for a refund given the product did not perform as expected. 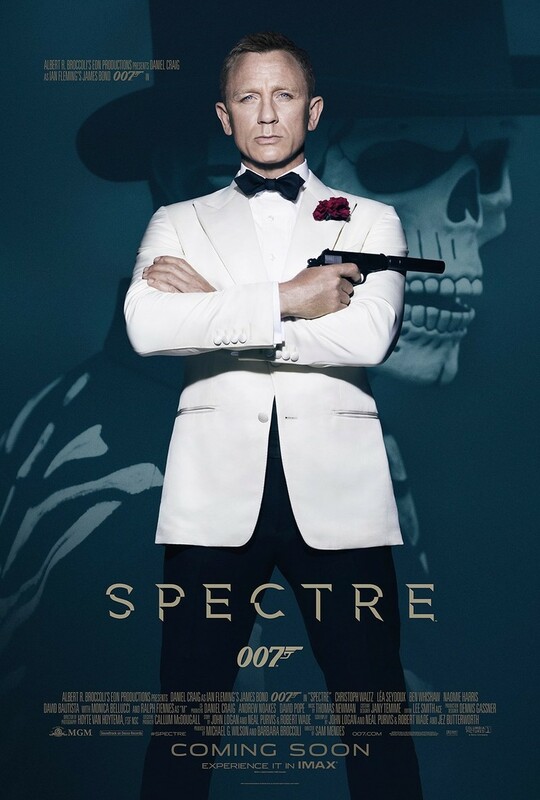 With all the good intentions and the important message it carries, Spectre is a failure of a Bond movie. It is simply to tedious and predictable, proving that a good message and a large budget do not make a film good on their own.